Longform version of a six-part series on Christianity and the history of technology. Since the mid-twentieth century, there has been a sustained, if modest, scholarly conversation about the relationship between technology and religion. Among scholars who have specifically addressed the nature of this relationship, research has focused on the following set of concerns: religion’s role in determining Western society’s posture toward the natural world, religions’s role in abetting technological development, religion’s role in shaping Western attitudes toward “labor and labor’s tools,” and, more recently, the use of religious language and categories to describe technology. The majority of these studies focus almost exclusively on European and North American context and so “religion” amounts to Christianity. Jacques Ellul, Lynn White, George Ovitt, Susan White, David Noble, and Bronislaw Szerszynski have been among the more notable contributors to this conversation. Jacques Ellul’s comments are the earliest, but they do not set the terms of the debate. That honor falls to Lynn White who in his 1968 essay, “The Historical Roots of Our Ecological Crisis,” first proposed that Europe’s relationship to technology had been distinctly shaped by the Christian worldview. Scholars have repeatedly returned to further scrutinize this thesis and its ecological frame. George Ovitt’s The Restoration of Perfection: Labor and Technology in Medieval Culture remains the most thorough treatment of the nexus of questions generated by White’s essay. Ovitt concludes that there is good reason to significantly qualify White’s claims. Susan White’s study, Christian Worship and Technological Change, stands apart as a consideration of technology’s influence on Christian liturgy. David Noble builds on the work of White and Ovitt to offer an account of what he terms “the religion of technology” which amounts to a pervasive intermingling of religious concerns with the project of technology as a well as a tendency to link the quest for transcendence to technology. Finally, Bronislaw Szerszynski’s Nature, Technology, and the Sacred offers a theoretically sophisticated reconsideration of White’s argument which, with respect to the technological character of contemporary society, embraces Ellul’s diagnosis of technological society. Szerszynski also moves the argument out of the medieval period to argue that the really decisive transformations in the intellectual and religious context of Europe’s technological history should be located in the Protestant Reformation. Although this characterization was widely accepted, Ellul believed it to be in error. It both ignored the real technical advances of Eastern civilizations and misunderstood the posture of Christianity to technical development. Ellul goes on to challenge the two historical arguments employed by those who believed that Christianity “paved the way for technical development.” According to the first, Christianity’s suppression of slavery gave impetus to the development of technology to relieve the miseries of manual labor. According to the second, Christianity’s disenchantment of the natural world removed metaphysical and psychological obstacles to its technologically enabled exploitation. The former fails to account for the impressive technical achievements of slave societies, and the latter, while valid to a certain extent, ignores the other strictures Christian faith placed on technical activity, namely its other-worldly and ascetic tendencies. Additionally, Christianity subjected all activity to moral judgment. Accordingly, technical activity was bounded by non-technical considerations. 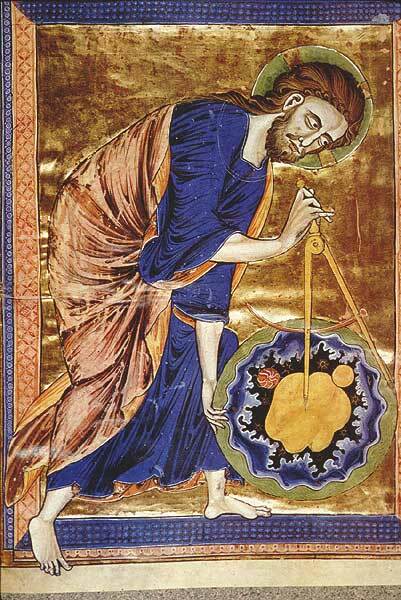 It is within this “narrow compass” that certain technical advances were achieved and propagated by the monasteries. George Ovitt’s The Restoration of Perfection: Labor and Technology in Medieval Culture, published in 1987, provides the first book length treatment of the major themes advanced in White’s thesis. Ovitt, who in his preface pays appropriate academic homage to White, sets out to explore more fully the claims made on behalf of Christian faith and practice in relation to medieval attitudes toward technology. Ovitt’s analysis is also deeply influenced by Max Weber and Lewis Mumford’s application of Weberian insights to Benedictine monasticism. Finally, Ovitt also tests the alternative claims made by Jacques Le Goff in his 1980 evaluation of medieval attitudes toward labor and technological development. Against White’s thesis, Le Goff argued that shifting theological attitudes toward labor and technology followed upon rather than instigated transformations in economic and material conditions. Notions of progress, in other words, were not yet, as they later would be, reduced to or considered equivalent to technical progress. In this, as in countless other ways, the Western medieval church took its cue from Augustine whose view of the mechanical arts can best be labeled as ambiguous. Turning specifically to the claims advanced by White and Benz, Ovitt chooses to test them by conducting an extensive review of the medieval period’s hexaemeral literature, i.e., commentaries on the six days of creation. His review of this literature leads Ovitt to substantially qualify both Benz’s claims regarding the image of God as craftsman and White’s suggestion that Christian theology sanctioned a rapacious posture toward nature. Ovitt finds that while there is ample evidence of the portrayals of God as craftsman in the hexaemeral literature of the Latin Church, it is balanced by the continued portrayal of God as a detached and transcendent Creator — a portrayal shared with the Eastern Church — which appears just as frequently as the image of God as craftsman. Additionally, Ovitt suggests that when the image of God as craftsman is employed, it often suggests that as the finished products of the craftsman’s hand are often put to uses contrary to the craftsman’s intentions, so too the work of God’s hands, namely humanity, often rebels against the intentions of the Creator. And with this Ovitt turns to consider medieval social and education systems, specifically the practice of labor in the monastic orders and the place of the mechanical arts in medieval classifications of knowledge. Regarding the former, Ovitt indeed finds that the monastic tradition, in both its eremitic and cenobitic manifestations, upheld the fundamental dignity and spiritual usefulness of labor. Moreover, Ovitt finds the Rule of St. Benedict to be the most “effective reconciliation” of the spiritual needs of the individual and the economic needs of the community. Most importantly, he concludes that contrary to the later logic of capitalism, the significance of labor did not reside in “its products or uses of technology and invention quantitatively as a means of enhancing productivity,” rather it resided in the “process of labor” which was aimed at personal holiness and communal self-sufficiency. Ovitt reasonably concludes that a Weberian analysis of monasticism’s role in incubating incipient capitalism as well as fostering a peculiarly Western enthusiasm for technology should be balanced by the spirit of Augustine’s prayer — “O Lord, I am working hard in this field, and the field of my labors is my own self” — which expressed the dominant medieval priorities. In his survey of medieval classifications of knowledge, particularly that of Hugh of Saint Victor in the twelfth century and Thomas Aquinas’ in the thirteenth, Ovitt finds a generally positive estimation of the mechanical arts even while they retain the lowest rank among the various arts. In his estimation, more than their admission into the theologians’ classifications of knowledge was needed to generate the particular enthusiasm for technology that would come to distinguish Western society. What was needed was the decoupling of “labor, and labor’s tools from the realm of the sacred and the control of theologians” and a renewed interest in judging technology by its products rather than its effects on the spiritual lives of its users. This would be achieved, ironically, by the Gregorian Reform movement originating within the church which sought to clarify the respective roles of the church and the state. In so doing, the church sanctioned a three-fold division of society including those who ruled and fought, those who labored, and those who prayed. This division tacitly endorsed the separation of labor from the purview of the church and created the space for technology to evolve apart from moral and spiritual constraints or considerations. Contrary to White, then, Ovitt suggests that Christianity’s chief contribution to the evolution of distinctly Western attitudes to technology may have been its stepping out of the way as it were. Ovitt’s study significantly complicates the historical arguments made by Benz and White as well as Ellul’s earlier summary of Christianity’s relationship to technique. The total picture is on the whole more ambiguous than the work of any of these scholars would lead readers to believe. 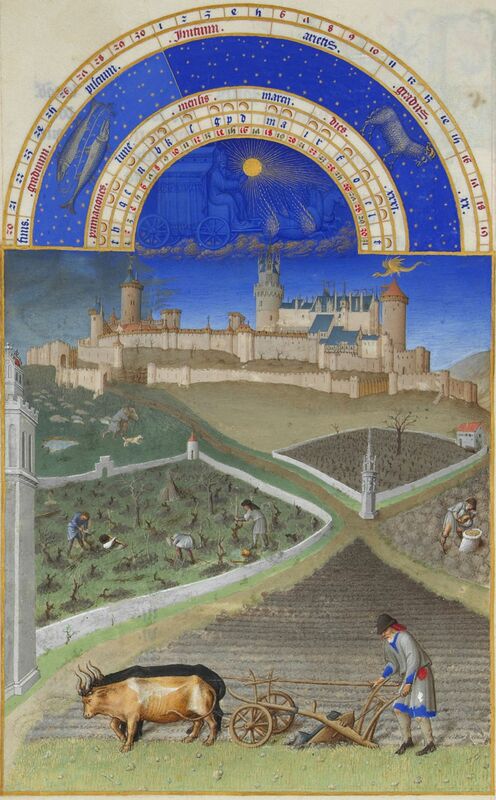 Medieval attitudes toward nature, labor, and the mechanical arts were on the whole positive but hardly enthusiastic. More importantly, Ovitt convincingly showed that technical considerations were, as one might expect, consistently subordinated to spiritual ends as demonstrated by the Benedictine’s willingness to lay aside labor when it became possible to commission a lesser order of lay brothers or even paid laborers to perform the work necessitated by the community. Ovitt’s work has appropriately taken its place beside that of White as a major contribution to the scholarly exploration of the relationship of medieval Christianity to Western technology. If we are to find the sources of western enthusiasm for technology it is necessary to begin with medieval Christianity, but after Ovitt’s thorough work it is no longer possible to end there. In 1994, Cambridge scholar Susan J. White, published a study entitled Christian Worship and Technological Change. White’s study reverses the direction of the inquiry by asking not about the effect of Christianity on the evolution of technology, but about the consequences of technology for Christian worship. In providing the rationale for her study, White cited the earlier work of Ellul, Lynn White, Mumford, and Ovitt exploring the complex relationship between Christianity and technology. In her most compelling chapter, White discusses the role of astronomical technology — the astrolabe, the albion, and the rectangulus — in refining the Christian liturgical calendar which had been in acknowledged disarray as well as the role of the mechanical clock in recalibrating the rhythms of the liturgy. On these points, however, White is mostly following the earlier work of Mumford and Lynn White. Thus her noting the contrast between Eastern Orthodoxy’s longstanding rejection of the mechanical clock and its quick embrace in the western churches, a point also registered by Lynn White. In a subsequent chapter, “Liturgy and Mechanization,” White takes an approach that resonates with Ellul’s articulation of technique, noting how transformations in Christian liturgical practice during the nineteenth and twentieth centuries were often inspired by the goals and logic of machine technology. In her analogy, liturgy became a form of mechanistic technology. Susan White’s work is useful for its reframing of the question regarding technology and Christianity in light of technology’s influence on the religion. Her work is especially helpful for those who have never considered the consequences of technological change on liturgical practice. She does not, however, advance the debate initiated by Lynn White regarding the relationship between Christianity and western technology. In 1997, however, historian David F. Noble’s The Religion of Technology raised the question again with renewed vigor. From another angle, though, Noble has only shown that religious language and religious aspirations are frequently associated with technology, particularly by the elite practitioners that are driving the development and deployment of new technology. Any effort to arrive at a more clearly defined conclusion would falter under close examination since Noble has brought together a remarkably diverse collection of evidence and has not drawn very precise causal relationships. Instead, his method is to drive home a general sense of technology and religion’s entanglement by citing as many plausible instances of the claim as possible. Noble’s slippage between of the use of “faith” and “religion” is indicative of the general nature of his claims. It is also problematic that Noble’s borrowings from Benz, White, and Ovitt give no indication that there is any underlying tension in their respective accounts of Christianity’s relationship with technology. For example, although he is clearly familiar with Ovitt’s work, he approvingly cites White’s thesis in “The Historical Roots of Our Ecological Crisis” without qualification. Moreover his deployment of theological terminology in the opening chapter does not inspire confidence in his grasp of nuance in the relevant theological literature. But Noble is less interested in joining that debate than he is in registering a more general complaint. Noble is clearly concerned about the religious hopes for transcendence that have been repeatedly attached to new technologies throughout the history of Western society. In his view, this tendency clouds our ability to think clearly about technology, a problem that grows all the more acute as our technologies evolve into more complex, and potentially dangerous realities. In the end we may say that Noble has established the presence of a religious veneer that frequently appears on the surface of technology to influence its development and adoption without clarifying or systematizing the varieties, sources, and consequences of that veneer. A fascinating and thoughtful read on Christianity and the History of Technology. Not quite sure what I think on it yet, I need to read and think about all of the essays contained within. I would be honored if you stopped by!